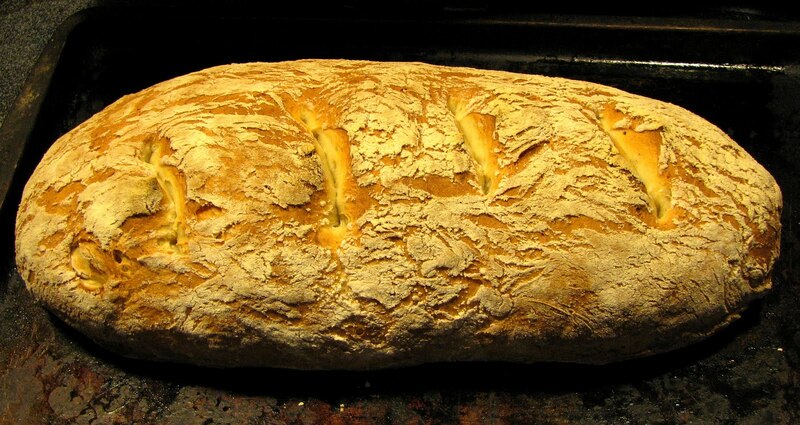 Even though I don't make it as often as I did a couple years ago, I love to make homemade bread. I ran across a recipe for 1 hour french bread a while back (at this post), and it looked really good. Best of all, it said the entire process from start to hot-from-the-oven could be accomplished in an hour. So I made two last night, and voila...they were great! 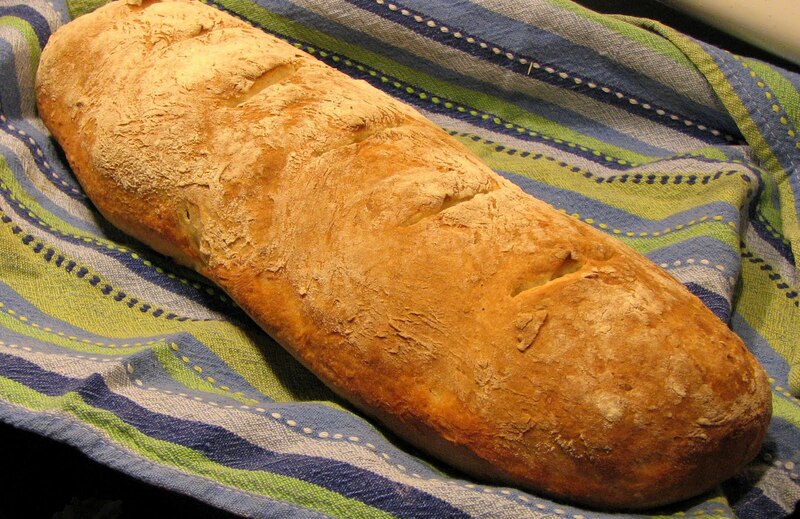 They can be made into an oblong loaf, or smaller baguettes or breadsticks. I went with the oblong loaves this time. 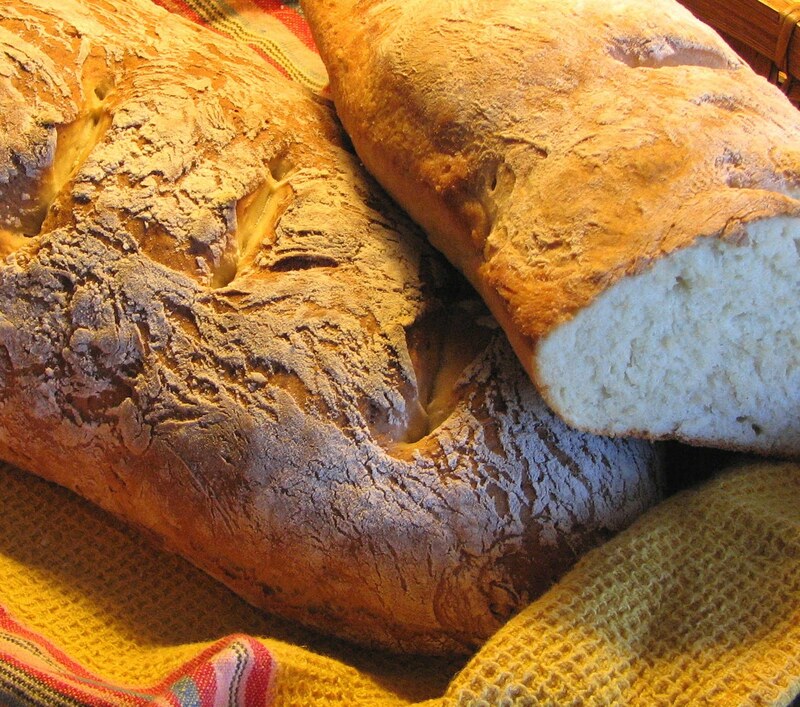 One recipe makes one loaf. And aside from water, there are only four ingredients. And easy for anyone who is a little standoffish about kneading...the instructions don't call for it, though when I formed the loaf I gave it 4 or five good turns to get it to hold its shape better. The 20 minute rise is all part of the One Hour. Aside from raw milk, is there anything more delicious than crisp cold salad greens and crusty, hot homemade bread...or the bread itself, with butter and honey? Or slices toasted with grated mixed cheeses atop? Preheat oven 450º. Combine water, salt, honey, and yeast in a medium bowl. Let sit 5 - 10 minutes, until bubbling. Add flour, stirring with a wooden spoon, until dough is no longer sticky (I'll sometimes dump the dough out onto the cutting board with what flour is in the bowl and roll it around,adding a bit more flour, until it's not sticky). Roll dough into a 12 - 14" roll (or you can divide it in half and roll it into two long skinny baguettes). Place dough roll(s) on a cookie sheet (this won't work in a bread pan), greased or sprayed with non-stick spray, cover, and let sit 20 minutes. Make diagonal slits, 1/2" deep, on top with a razor blade. (Optional: spray with salt water). Bake 20 minutes.